Callender Howorth specialises in high-end interior design for residential interiors and commercial spaces in London and beyond. 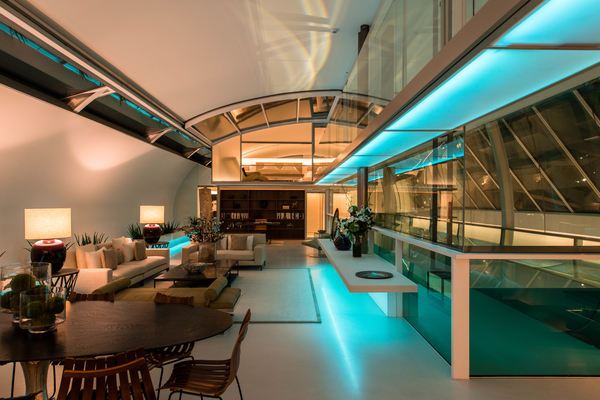 Our Canary Wharf interior architects have built a reputation as a highly skilled interior design team, whose bespoke solutions impress our discerning clientele. An area as cutting-edge as Canary Wharf deserves contemporary interiors to match its surroundings, so each of our projects has its own striking style, individually put together to meet your exact requirements. Please feel free to browse our portfolio, which reflects our dedication to our clients’ vision. What has Callender Howorth designed near Canary Wharf? Callender Howorth recently undertook a commercial design project in Southwark, transforming the Commercial HQ of Flamingo International, an international brand. 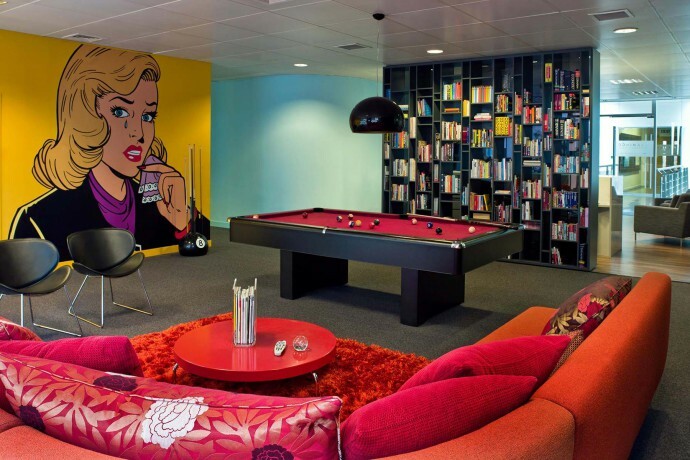 The company is forward-thinking and inventive; as such, our Canary Wharf interior architects created a colourful, playful office, with chill out areas and a large pop art mural. This fun project enabled our experienced designers to showcase the diversity of their skills. 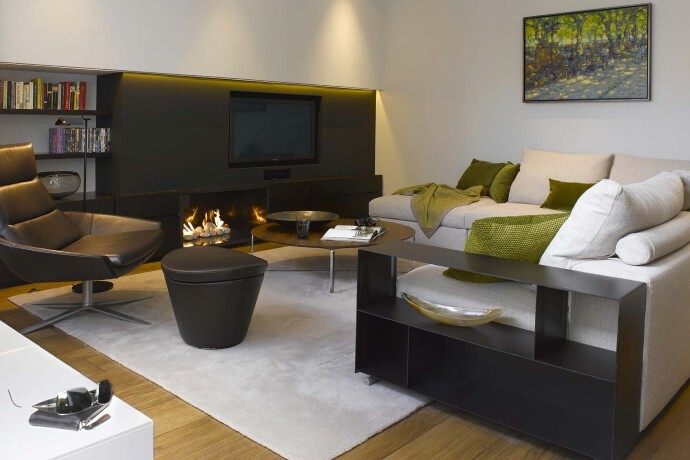 Contrastingly, our design team also undertook a residential project in the trendy area of Shoreditch, creating a homely apartment for an ecstatic client. The Cordy House project merges a melee of styles to a fascinating effect, combining the old and the new. Looming high above the horizon, One Canada Square is an iconic skyscraper that can be seen from all corners of London. Built in 1990, the tower stands at 235 metres in height with 50 stories and held the record for the UK’s tallest building for 20 years (1991-2011). It is used as office space designed in a distinctively modern way by Canary Wharf interior architects and only the ground floor, foyer area and basement levels of One Canada Square are open to the general public as a retail area. It was designed in a similar shape to Three World Financial Center, New York City and slightly reminiscent of Big Ben. The building is clad with durable stainless steel and is recognisable for its pyramid-shaped roof, which contains a flashing aircraft warning light. Another instantly recognisable building in Canary Wharf is located at 8 Canada Square. As the global HSBC headquarters, this skyscraper is the second tallest building in Canary wharf and the fourth tallest in the UK at 200m. The 45-storey building was designed by Sir Norman Foster’s team of architects and completed in 2002. Is Canary Wharf close to museums and exhibitions? Despite appearances, Canary Wharf isn’t all business. Situated in the east end of London, an area rich with history, you can find many interesting museums, such as the Museum of London Docklands. The museum tells the story (through pictures and objects) of the Thames and its port and how people from all over the world came to settle there. The V&A Museum of Childhood houses the Victoria and Albert’s collection of toys, costumes and similar objects ranging in date from 1600 to the present day. Extensive renovations have given it an impressive entrance, which seems inspired by Canary Wharf interior architects without losing any sense of historical importance. Other interesting museums in the area include the Museum of London and Charles Dickens Museum in Holborn, which was the author’s home from March 1837 to December 1839. Using the extensive underground network, it is easy to get to Covent Garden in the heart of the city and visit the fascinating London Museum of Film which is a must-see for James Bond fans. Think sophistication and style when you sample the nightlife of Canary Wharf, and luckily many bars are open longer than most places in London. The Fine Line is a fantastic riverside bar with a great selection of ales in the area, perfect for a lunchtime break or an after-work drink. Its elegant decor designed by Canary Wharf Interior architects is always welcoming, although outside dining at the water’s edge is perfect for summer days. One Canada Square Restaurant and Bar is suitably elegant considering its prestigious location, the interior is classy and sleek and the wine and spirits menu is full of rare vintage options. If you crave pub food go to the Cat & Canary for a real pub experience in the heart of Canary Wharf – there are even game machines and football matches on the screens. Byron’s is a hip American-style diner serving delicious hamburgers with a choice of toppings and sweet potato fries. If you feel like a more fancy experience, head to Browns in West India Quay; set in a building that once was a sugar warehouse, it was built by Napoleonic prisoners of war in the 19th century and provides beautiful views of the dock. International food can be sampled at Roka where Japanese dishes are enjoyed in a contemporary dining room with a central, open grill kitchen or La Tasca, a chain serving tasty Spanish tapas and paella. Why would you want to live in Canary Wharf What famous people live there? Canary Wharf may not seem like an obvious place for families, but it’s becoming more child-friendly all the time. Crèches and playgrounds are found in residential towers and Canary Wharf interior architects are creating welcoming family interiors. Cinemas, ice rinks and a pleasant riverside location make Canary Wharf a highly desirable residential address. Canary Wharf College is a co-educational school for children aged between 4 and 18, located in three different buildings. St Luke’s Church of England Primary School has a great reputation, as does Woolmore Primary School. The Stephen Hawking School is a special school for pupils between 2 and 11 years of age who have learning difficulties. Please contact the Callender Howorth team to discuss your project. Complete design, build and project management service in Canary Wharf.